SCVHistory.com | People | Dr. Dianne G. Van Hook: 25 Years at the Helm of COC, 2013. Dr. Dianne G. Van Hook: 25 Years at the Helm of COC. Dr. Dianne G. Van Hook arrived for her first day on the job on July 1, 1988. Aside from herself, some colleagues and the board members who hired her, no one could possibly have imagined how this new superintendent-president's passion, energy and influence would reshape College of the Canyons. The clues were certainly there, notably an L.A. Times story whose headline proclaimed: "'Fireball' to Take Helm of College of the Canyons." That headline would prove accurate, although the "fireball" moniker could easily and, perhaps more accurately, be replaced by "mover," "shaker" or "builder." Certainly, she has also been been a "motivator" and "developer" of people, places, possibilities and potential. When hired, the then-37-year-old dean of the Lake Tahoe Community College District was the youngest person ever to serve as a district-level community college CEO in California and, at the time, one of only five women of the 70 CEOs in the state. She hit the ground running and has never looked back. Twenty-five years later, College of the Canyons resembles its former self in name only, having been transformed into one of the leading, most innovative and widely respected community colleges in the nation. Numbers help put such a radical transformation into context. The college's budget, for example, has grown from approximately $8 million in 1988 to nearly $181 million today. Enrollment has grown from 4,000 to a high of 27,000 students. And physical space has quadrupled, climbing from just under 200,000 square feet to today's 812,000 square feet across two campuses, with additional construction this year that will boost square footage even more. While numbers can provide context, they can also obscure what this progress really means, which is this: Dr. Van Hook's leadership has driven a quarter century of cross-generational momentum at College of the Canyons. This commitment has provided all manner of cutting-edge educational and training opportunities for all who have sought to better themselves. It has embraced innovation and excellence in education. It has instilled hope, and turned dreamers into doers. Her efforts, passion and unrelenting resolve have transformed not only the college, but the lives and livelihoods of the hundreds of thousands of people who have embarked on an educational journey here. One of the few people who had a sense for what this "fireball" could do was Michele Jenkins. A member of the Board of Trustees today and in 1988, Jenkins was the board president who led the development of the CEO search. Having overseen that process 25 years ago, she remembers vividly how one person stood out above all the rest. "At the time, I couldn't help but smile to myself, thinking about how much of a difference she was going to make at the college because she's just so dynamic," Jenkins recalled. "Days later, after she had been formally introduced, I asked one of our instructors what he thought about our new president, to which he replied, 'Administrators come and go, and it won't really make a difference who the administrator is.' I simply smiled again and thought to myself that he has no idea what this woman's leadership will bring to College of the Canyons. Today, 25 years later, I'm still smiling." Indeed, that instructor's observation was based on the average four-year tenure of the previous College of the Canyons presidents to that point, but he clearly made an assumption that would prove wildly inaccurate in very short order. When Dr. Van Hook arrived, she immediately went to work developing the college's first educational and facilities master plan. Five plans later, the college has been radically transformed, the result of a seemingly non-stop series of construction and improvement projects that continues to this day. Dr. Brice Harris, chancellor of the California community college system, said Dr. Van Hook's focused, dedicated service to a single college district over the course of 25 years has allowed College of the Canyons to thrive — and the Santa Clarita Valley to reap the rewards. "Such longevity is a rarity and speaks to the skilled leadership she provides to the college community day in and dayout," Dr. Harris said. "This type of stability fosters institutional focus and commitment on a remarkable scale." 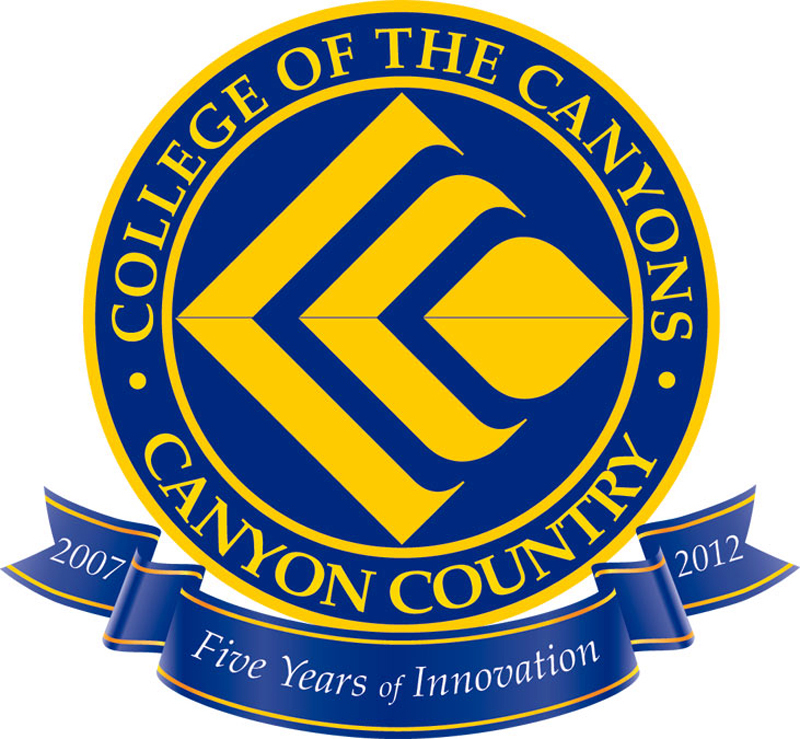 College of the Canyons has been propelled forward by a unique combination of community support and daring leadership. Aided by the passage of two multimillion-dollar bond measures over the past dozen years, Dr. Van Hook has presided over the highest level of construction and preparation for the future since the college opened in temporary quarters at Hart High School in 1969. She has substantially transformed the Valencia campus — and provided the vision to create an entirely new campus in Canyon Country — to keep up with community demands, enhance access, and anticipate the educational needs of the future. "Dr. Van Hook is, without a doubt, the most accomplished CEO in the California community college system," said Michael Berger, president of the College of the Canyons Board of Trustees. "Better yet, she's our CEO. Her ability to forge relationships and partnerships has been invaluable — and her leadership, imagination and perseverance have reaped incredible rewards for so many people, businesses and organizations in our community. She has inspired those around her to learn more, to do more and, most importantly, to dream more." Former Trustee Linda Cubbage, who served on the Board of Trustees that hired Dr. Van Hook in 1988, echoed Berger's sentiments, adding, "Dianne's anniversary pays tribute to the board's action to hire her 25 years ago. We knew then that she had the ability, talent and vision to help College of the Canyons grow and thrive. How right we were." When Dr. Van Hook arrived in 1988, the college was housed in eight major structures. Today, more than a dozen additional major facilities have been built or expanded, including: the Dr. Dianne G. Van Hook University Center, the Santa Clarita Performing Arts Center at College of the Canyons, the Library and TLC (The Learning Center), Mentry Hall, the Family Studies and Early Childhood Education Center, Aliso Lab and Aliso Hall, Pico Canyon Hall, Hasley Hall, the East Physical Education Building and tennis courts, and, of course, the Canyon Country campus and its first permanent facility, the Applied Technology Education Center. Construction has begun on a new Student Services & Administrative Center, and a groundbreaking for the new Institute for Culinary Education is expected later this year. These wide-ranging facilities are much more than mere buildings. Each has been designed to serve a specific educational purpose and outfitted with the latest technology. Most importantly, they allow learning to happen. They enhance student access and house an ever-growing assortment of cutting-edge educational and training programs that allow students to gain the knowledge, skills and confidence to succeed in the real world. If one were to ask Dr. Van Hook to reveal her secret of success, she would most likely repeat a familiar mantra that she has widely shared within the campus community: "If you can imagine it, you can achieve it. If you dream it, you can do it." It's a philosophy that has been taken to heart — and is at the core of most, if not all, college initiatives that bear her trademark of excellence and innovation. It also drives the adventurous, entrepreneurial spirit behind so many successful programs — and a track record that other colleges can only dream about. "People who believe in themselves and the power of teamwork inspire vision, energy, commitment and courageous leadership at every level," Dr. Van Hook said. "Those qualities propel College of the Canyons to new possibilities and exciting outcomes. The result? Expansion of instructional programs, securing significant increases in funding, launching a robust building program, and increasing our full-time staff by more than 300 percent. These qualities have helped us develop partnerships and collaborative initiatives, take calculated risks, be entrepreneurial and, most importantly, believe that we could create our own future. And, together, we have done just that." The belief that everyone has the ability to develop themselves to their fullest potential is a key component of Dr. Van Hook's philosophy of personal empowerment, but it actually goes further than that. She passionately believes and understands well the value of inspirational mentors. She attributes much of her early drive to excel to a college administrator who instilled in her the confidence that she could become whatever she wanted to be. The positive influence on her self-confidence and ultimate development of her potential was a turning point that opened her eyes to the possibilities, which is precisely what she now does for others. Years of mentoring have given her the ability to see in people what others do not yet see, inspiring and empowering them to aim high and achieve their highest potentials. That philosophy has contributed to an environment where absolutely anything is possible. 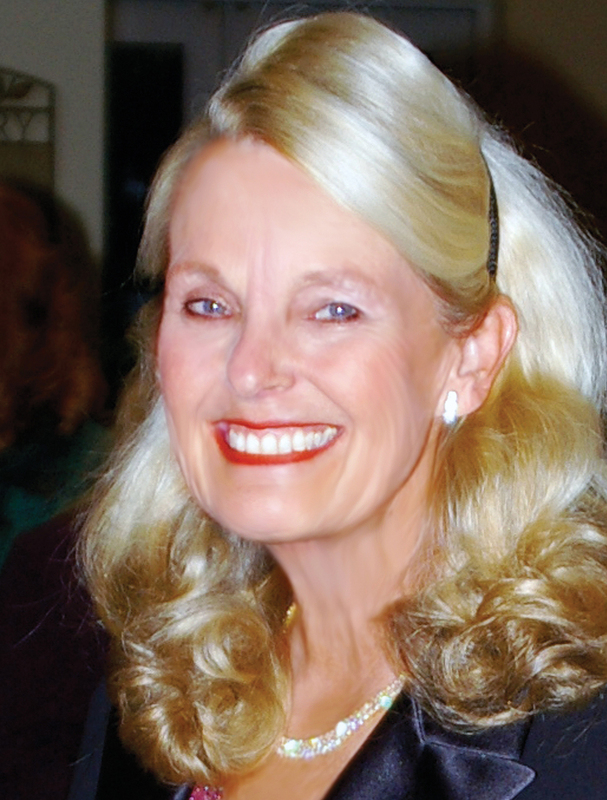 "Dr. Van Hook's leadership has created an environment of outstanding educational opportunities for all of our students, which has directly enhanced the Santa Clarita Valley's quality of life and economic well-being," said Doris Marie Zimmer, chair of the College of the Canyons Foundation Board of Directors. Dr. Van Hook's dedication to students, faculty and staff has been nothing short of inspirational, added Jill Mellady, immediate past chair of the foundation board. "She continues to elevate the college as a premier place of education," she said. "Her charisma, passion and tireless work ethic are positively infectious." A strong believer in California's community college system, Dr. Van Hook began her higher education journey at Long Beach City College. From there, she went to California State University, Long Beach, which, incidentally, honored her recently as its 2013 Distinguished Alumna for the College of Liberal Arts. She graduated with a bachelor's degree in sociology in 1972. While attending classes, she worked as a Head Start preschool teacher, and upon graduation became a junior high school teacher. She later went on to earn both her master's degree and doctorate from the University of La Verne. While working as a counselor at Santa Ana College, she launched the highly regarded New Horizons program, which helps re-entry students succeed in college. The program was ultimately implemented at 60 community colleges throughout the state. From there she went to Feather River College to serve as dean of instruction/student service in 1984. Two years later she became dean of the Lake Tahoe Community College District — her last stop before returning to Southern California to take the top post at College of the Canyons. A quarter century later, Dr. Van Hook is not only the longest-serving community college CEO in the state, she is a widely respected visionary and leader — the go-to CEO of California's community colleges. Named chancellor of the Santa Clarita Community College District in 2008, she is widely regarded as a strong, knowledgeable and consistent advocate for community colleges statewide and nationally. Her experience, expertise and passion for higher education have contributed to her receiving every statewide recognition that can be bestowed on a California community college CEO. "Having watched Dianne for 25 years, I can honestly say I have never met anyone who comes close to combining so many of her talents: extremely bright, hard working, growth mindset, caring, thoughtful, generous and flexible," said Joseph Gerda, assistant superintendent and vice president of instruction at College of the Canyons. State Assemblyman Scott Wilk, who served on the Board of Trustees prior to being elected to state office in 2012, said Van Hook's dynamic leadership has created countless opportunities and transformed the college into a place where "miracles happen every day." "I had the honor and pleasure to serve on the board for six years and witness firsthand the college's profound impact on people's lives," Wilk said. "College of the Canyons is intensely focused on student access, achievement and success. That focus comes straight from Dr. Van Hook, whose vision and passion for educational excellence are boundless. The Santa Clarita Valley is truly fortunate to have had her at the college's helm for the past 25 years." A popular metaphor describes time as a flowing river whose current carries those who don't resist it through happy, easy days — living, unquestioning, in the moment. That may be relevant for most, but not Dr. Van Hook. While no one can control the current of time, some adventurous souls have the courage and ability to change its course into magnificent territory. And so it has been for 25 years at College of the Canyons. "At every stage, Dianne has been a leader in terms of innovation, always thinking outside the box, and always with the perseverance and ability to rally people around an idea and see that idea expressed in reality," said Jack Scott, immediate past chancellor of California's community colleges. "She has left an indelible imprint upon all of California's community colleges — particularly on College of the Canyons and the entire Santa Clarita Valley."